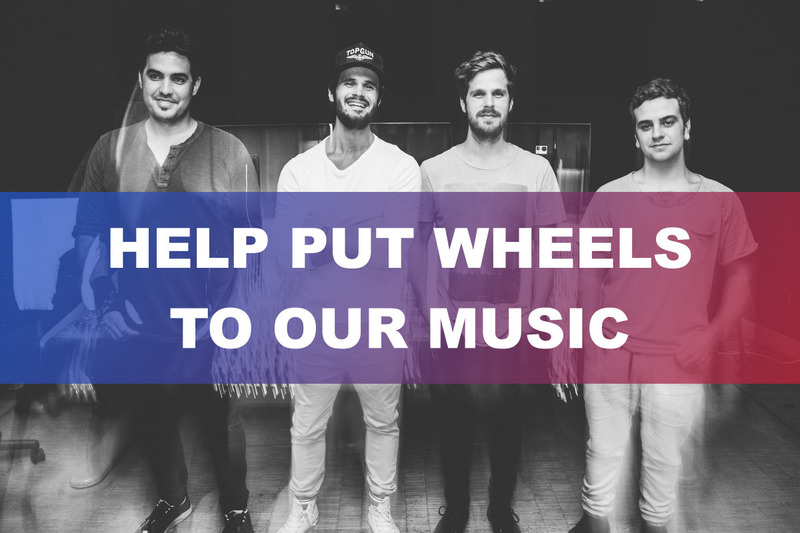 Fundraiser by David, Kelly, Matt and Stephen of OK MAYDAY : "Help Put Wheels To Our Music"
"Help Put Wheels To Our Music"
This is an exciting time for our band. We just wrapped up recording and mixing our next six song EP and music video. We will begin releasing music at the end of spring! And after this GoFundMe campaign, we will be performing these songs all over the U.S. Looking back, our future as a band did not look too bright. Did you know OK MAYDAY was formed after our old band was shelved by a major record label? Crazy, right?! Through it all, we spent productive years writing for amazing artists, friends, and and our great producers. Even landing co-writes with J-Cole on “Sparks Will Fly” and Haley Reinhart’s “Some Way Some How”. This momentum as a new band and co-writers led to us signing with Sony/ATV publishing! And on the heels of this new partnership we released our debut EP "Conversations" in June of 2018. Two of the EP's songs were featured on Spotify's famous "New Music Friday's" playlist, putting us over 250,000 collective streams! We even received love from our hometown's favorite radio station, 94.9 The Point, who spun our single "Good". All in all, we've been beyond blessed this past year. And with these new songs in our pocket we're ready for this next step, hitting the road! It’s pretty simple, OK MAYDAY has the best fans in the world and it’s time we come see you! Your messages of love and support mean the world to us and there is no way we could do this without you. Our new music video and six song EP is done and we need your help to actually get on the road. You’ve heard us but you’ve yet to see us :) The writing and recording process is what takes long. But since that’s complete, we’re looking at 2019 summer dates and more to visit cities all over the United States! What we still need is a van and a trailer to lug the gear around. Nothing posh about that set up at all haha! What this means is we have the ability to release our music and perform our live show. We’ve spent a long time writing and re-writing, working and re-working these songs from the recording booth to the stage. We think back on what it’s meant for us to see some of our favorite artists and musicians in a live setting. Having those unforgettable experiences really inspired our own dreams. We hope to even have the smallest fraction of that kind of impact and inspire someone who loves our songs. We hope to encourage their own dreams. Your support can make this happen. WHAT DO YOU GET OUT OF YOUR DONATION? It’s pretty straightforward. You get OK MAYDAY LIVE! You get to see us on the road, watch our new videos, interact with us, and get the new songs you’ve been so patiently waiting to hear! From here, sky’s the limit! 100% of your donation will go to our touring vehicle and trailer fund so we can hit the road in a few months. We can’t wait to see you! Please share this GoFundMe campaign with anyone you know who’d love to support OK MAYDAY! Thank you!